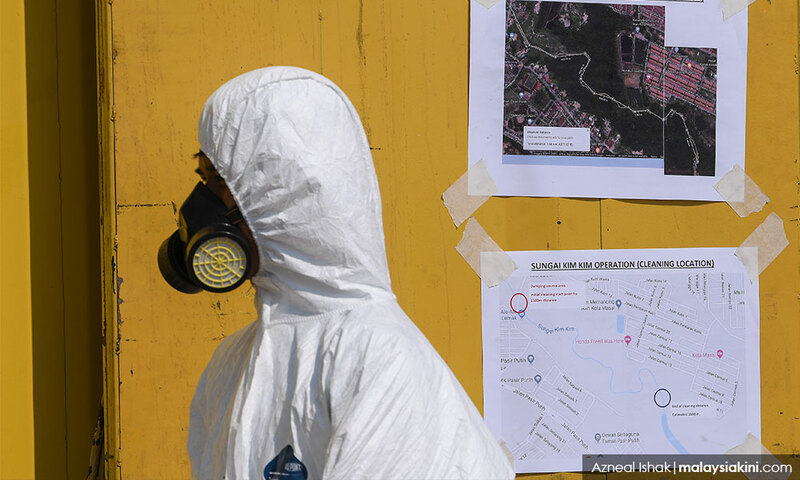 The cleaning-up process along 1.5km of Sungai Kim Kim, in Pasir Gudang, which began on Wednesday following the dumping of toxic chemical waste there, was completed today. "The 1.5km-stretch of Sungai Kim Kim that was polluted has been cleaned up, but today we want to see what more 'touch up' we can do. "Today can be said to be a day of monitoring. After that, then only we can look into what further action is needed,” she told the media at the state Disaster Management Committee’s operations room in Johor Bahru. Also present was the state Environment Department director Mohammad Ezanni Mat Salleh. She said all 30 schools were located 3km to 9km from Sungai Kim Kim. “Before this, we had monitored the air quality in different places... and found the quality was at a safe level. "But, our coverage today will be extensive because the cleaning up of the river has been completed,” she said, adding that the full report on the air quality will be made public tomorrow. Meanwhile, police are conducting more patrols to enhance the security of houses left by residents around Pasir Gudang. Johor Bahru police chief Mohd Khalil Kader Mohd said although the police have increased the frequency of patrols, the public was reminded to inform the nearest police station before returning to their villages or going on vacation. “People can fill up a form at the nearest station or register online at Volunteer Smartphone Patrol,” he told Bernama today. Khalil also advised people to check the utility main switch was switched off and the house locked up before leaving. “I also advise the public not to leave valuable items at home,” he said. 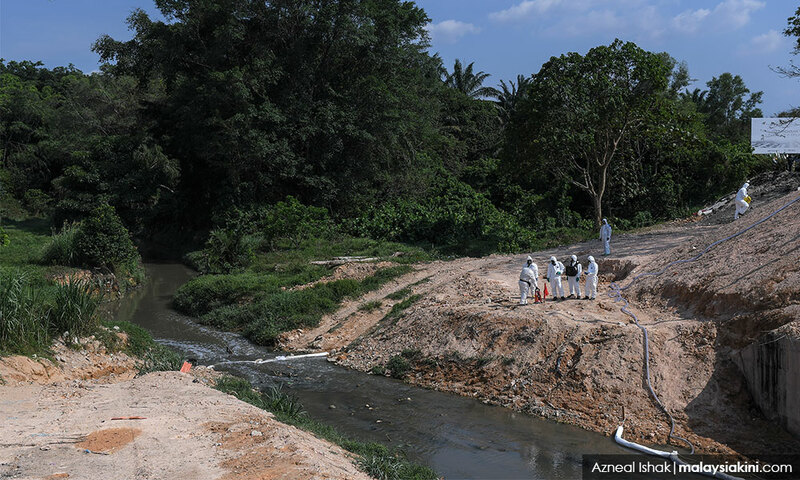 Johor Fire and Rescue Department director Yahaya Madis stressed that the hydrogen cyanide gas detected from the pollution in Sungai Kim Kim is the product of the reaction of chemical waste dumped into the river, and that its effect is not as hazardous as pure cyanide. Yahaya said that people should not worry as the impact was not as severe as exposure to pure cyanide gas. “Pure cyanide which is used as a chemical weapon is dangerous. “Hydrogen cyanide (cyanide from the pollution of Sungai Kim Kim) is harmful, but it is the result of the reaction of waste materials. The reading rate is also not very harmful. So, I hope this can be rectified,” he told reporters today. 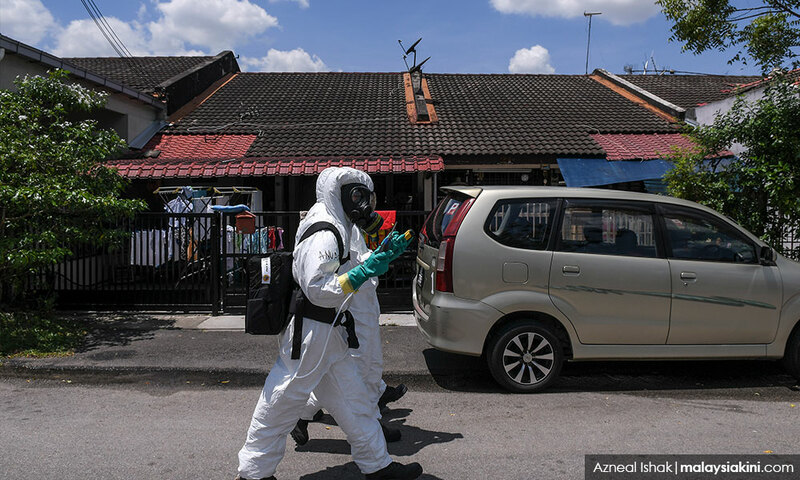 Yahaya met reporters after pointing out the area where patients had to undergo the decontamination process before getting treatment at Medic Base, Pasir Gudang Municipal Council Indoor Stadium today. Regarding the decontamination process, he said it was a step that every victim who has the ‘Kim Kim symptom’ has to go through, before being given treatment by health workers. “The decontamination process using the ‘Hazmat Shower’ involved about 22 fire officials and personnel together with the Emergency Services Assistance Unit. “It is to ensure the safety of the staff because when many victims come for treatment, things also affect the medical personnel. "So they (the victims) need to be decontaminated first before entering the treatment area,” he said.